You have taken the plunge and hired a marketing company to help spread the word about your orthodontic practice. Now it’s time to do your part to ensure you get the most out of this valuable partnership. This is particularly important when you first start working with a marketing company. They are going to have questions about your practice, which at times may seem endless, but providing complete answers is essential to your marketing plan. If you are starting a new practice or rebranding your current one, providing information about your vision or philosophy will help your marketing team create the right voice and patient personas to help you target your preferred patient base. Sharing with them what you hope to achieve on a monthly or annual basis gives them concrete goals to work toward and ensures neither of you are disappointed with the results. Because your marketing team is not in your office on a daily basis, it’s important to let them know about things that are happening. New employees need to be added to your website so they are familiar to patients and prospects, and they can also be introduced in a fun way through social media to make them more approachable. Perhaps you’ve added a new type of braces to your services or updated your imaging method – these are both topics that are interesting to potential clients. Opening a new office or expanding a current office is news that should be shared with the entire community. It shows your practice is growing and creates excitement about your new space. Your marketing team can not only share construction photos and updates on the space as it progresses, they can also provide creative ways to increase interest in your practice, such as a grand opening event with games and giveaways. If you have won an award or your team has participated in community service, this information should be shared with the public, so share it with your marketing team so they can spread the word. A worthwhile marketing company will be constantly gathering information about the performance of your marketing plan and sharing it with you. They will run analytics on your website, track interaction and reach on social media, and review lead magnet results. But your orthodontic team is the group who interacts with patients on the phone and in person on a daily basis. Maybe a patient mentioned they really enjoyed a certain blog or saw your spot on TV. Or perhaps you have had several patients ask you the same question about a certain type of retainer or have mentioned a common concern about their treatment. All of this information is useful to your marketing team because they can use it to continue to cover the issues that matter to your patients on the media platforms that reach them best. When a patient enters your office for orthodontic treatment, they have put their trust in you to give them the best possible result, which you will do to the best of your ability. Your marketing team also has your best interests in mind and the experience and knowledge necessary to get the job done, so you need to trust them. If, for some reason, you don’t think they are doing everything they can with the resources given to make your practice a success, or they are constantly missing deliverable dates or reasonable goals, then it is time to have a discussion about what isn’t working and eventually look elsewhere for marketing support if the situation doesn’t improve. If you would like more information about the benefits of working with a marketing company or what you can do to get the most out of your marketing plan, an expert at Ortho Sales Engine would be happy to answer any questions you may have. Ortho Sales Engine is growth marketing made easy for orthodontists. 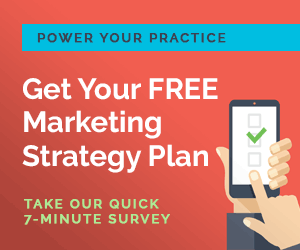 We’ll create a comprehensive plan for your practice to increase both your presence and your patients through emails, lead magnets, online ads, media outreach, and traditional marketing techniques. To learn more or schedule a free consultation, go to www.orthosalesengine.com. Don't want to miss any of our orthodontic marketing tips? Sign-up for our monthly recap email. Are blogs really that important for your practice? What do Patient Personas do for Orthodontists? 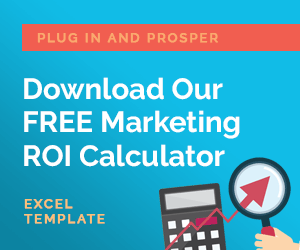 Ortho Sales Engine combines modern, digital marketing and sales tools with proven tactics to generate leads and acquire new patients for orthodontists seeking aggressive growth. Copyright © 2005. Ortho Sales Engine is a program of UniMedia. All Right Reserved. Do not duplicate content without permission.